Time for another Buyer’s Guide! This time around, we’re going to take a look at PDBs. The most basic PDBs, like this Lumenier 4Power – include just soldering pads to power your ESCs. The term “PDB” is an acronym for “Power Distribution Board”. 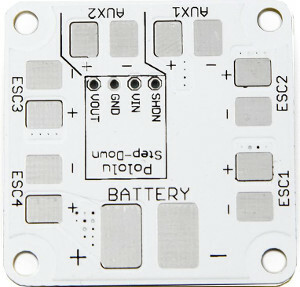 It is a small printed circuit board which has at least 5 positive and negative soldering pads on it that are all connected together. As the name implies – it is the responsibility of the PDB to provide power to all of the electrical systems on your quad copter. You do this by soldering your battery to one of the pads, then soldering your 4 ESCs to the others. Most PDBs also contain some extra circuitry. At a minimum, a 5V regulator is generally included. This is generally used to power up your flight controller – most of which will not run on the 12-16V coming from your battery. Some PDBs may also contain other voltage regulators, power filters, OSDs or other electronic gadgets that don’t make their way onto the flight controller. Do you need a PDB? Not really. You can splice all your wires together such that your battery leads are directly soldered to your ESCs and bypass the need for a PDB. 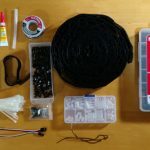 This type of set-up is both messy and heavy, however – and you will regret it when it comes time to repair broken components. You will also generally need to find 5V to power your flight controller – consuming any cost savings you were attempting to achieve. With the cheapest PDBs selling for only $8 shipped from Amazon and much less from Chinese vendors, we highly recommend you invest in this component. Full-frame PDBs like this make builds very easy but are prone to breaking in crashes and are hard to replace. Generally the PDB is mounted just under the Flight Controller on the 35x35mm mounting area in the middle of your quadcopter. These square PDBs are the most common on the market and are convenient to work with and generally very durable. We highly recommend using a square PDB. Another option is PDBs that bolt to or replaces the bottom frame plate on your miniquad. These types of PDBs can bring the soldering pads for each quadcopter component right where it is needed – making some very clean builds possible. The downside is that they are generally put under significantly more stress. In our experience, after several crashes you will start tearing out the soldering pads on a frame PDB – which often requires a replacement of the whole PDB. Since the PDB is part of the frame, this means you will be completely rebuilding your quadcopter. Furthermore, you cannot move components from one quadcopter to another using these PDBs – they are tied to the frame you originally build with them. Some flight controllers, like the DTFc, have built-in PDBs. Finally, some flight controllers come with PDBs built in! These all-in-one flight controllers offer a lot of simplicity and weight savings. It’s worth keeping in mind, though, that they are more susceptible to having problems because they are more complex components. 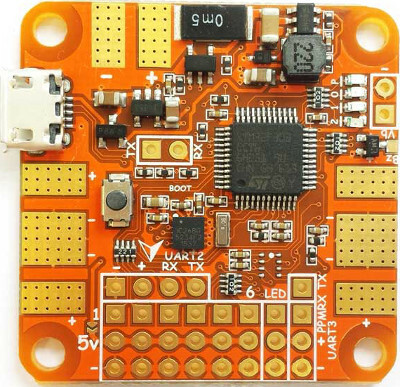 We discuss flight controllers like this in our flight controller buyers guide – check it out! Most PDBs have at least a 5V and often a 12V voltage regulator. These regulators take your battery voltage, whatever it is, and bring it down to a level useable by the electronics on your quadcopter. 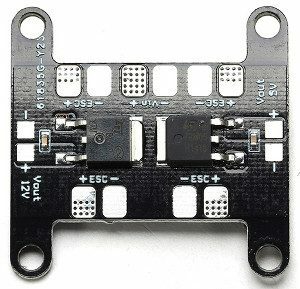 A 5V power source is generally required to power your flight controller and receiver, and can also be used to power some video transmitters, FPV cameras, and LEDs as well. If you plan on powering many systems off of your 5V regulator from your PDB, make sure you review the amount of amps your PDB can deliver through this regulator to ensure you are not overworking it. You do not want the 5V rail to “brown-out” – this is guaranteed to cause a crash. 12V power sources are provided to power FPV components like your video transmitter and FPV camera. 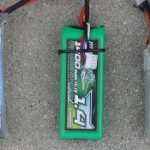 While many of these components are rated to be able to be directly connected to the flight battery, experience has shown that doing so will often cause failures. This is because the actual voltage on the main power leads can fluctuate wildly due to positive AND negative power draws from the ESCs. By putting your delicate video electronics on a separate 12V regulated bus, they are often isolated from these voltage swings and will live longer and perform better. The first and most common type of regulator is the switching regulator. This type of regulator achieves a lower voltage by constantly turning the battery power on and off at a high frequency. To get lower power, the battery power is turned on less often. Other electronics onboard the PDB then “smooth” out these spikes of power so that a clean voltage is delivered to your components. These types of regulators are very efficient and do not generate heat. Important: If you are planning on flying with 3S batteries, you cannot use a switching (“BEC”) 12V regulator. 3S batteries cannot power a 12V regulator under load and can cause failure of the PDB. We recommend all miniquad pilots fly at least 4S batteries. Linear regulators have a distinctive look. The second type of regulator acts like a resistor to burn off excess voltage as heat while delivering the remaining power to your components. The resistance applied varies with the voltage of your battery and the load of your components so that a constant output voltage is delivered. These types of regulators can generate lots of heat when hooked up to power-hungry components like video transmitters. Like finger-burning, board-melting amounts of heat. They are also the most simple types of regulators and are dirt cheap to use. As was discussed in the 12V section above, the ESCs in your miniquad can induce huge voltage spikes when doing heavy acro maneuvers that require lots of throttle and braking. These swings can actually produce signals that can get into your video feed, causing static and poor range. By adding electronic power filters into the VTX/Camera ports on the PDB, these problems can be averted. If your PDB doesn’t specifically say it has a power filter, it might still do some filtering for you! PDBs that use switching-type voltage regulators (sometimes called “BEC”) automatically get some filtering due to the internal circuitry required to make that type of regulator work. PDBs that use linear regulators do not share this advantage and you should look on the spec sheet for specific mention of power filters when purchasing PDBs that use this type of regulation. Some PDBs include built in on-screen display (OSD) chips. The OSD chip will inject text onto your video feed, providing flight data like power draw, battery voltage, flight time, RSSI and much more. Generally, they will operate like a built-in mimimOSD – which significantly simplifies the wiring you will need to do if you want an OSD. A current sensor circuit is included on many PDBs, which allows the flight controller to sense how much power your miniquad is drawing. This can be invaluable in determining exactly how much battery capacity you have left while flying. One important note here is to pay attention to the maximum current the PDB is rated for. This is actually generally a limit for current sensing, not the PDB itself – go over this amperage and your current meter will “loop back” and read something like 10 amps when you are really pulling 100. More current is useful to get readings on more powerful quads, but due to the fixed ADC sensitivity of the flight controllers in the hobby those readings will be less accurate. A single pad for all GND connections can be difficult to use. The layout of the soldering pads on a PDB is a very important factor worth paying attention to. A well-laid out PDB leads to a clean build without wires criss-crossing over each other and piling up. It also makes construction and repair easier. Some PDBs will have just two pads for positive and negative battery voltage. While these are simpler to construct, they are a real pain to work with. 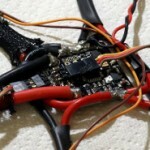 You will have to have different-length wires for each of your ESCs which criss-cross the PDB. Not a great solution. 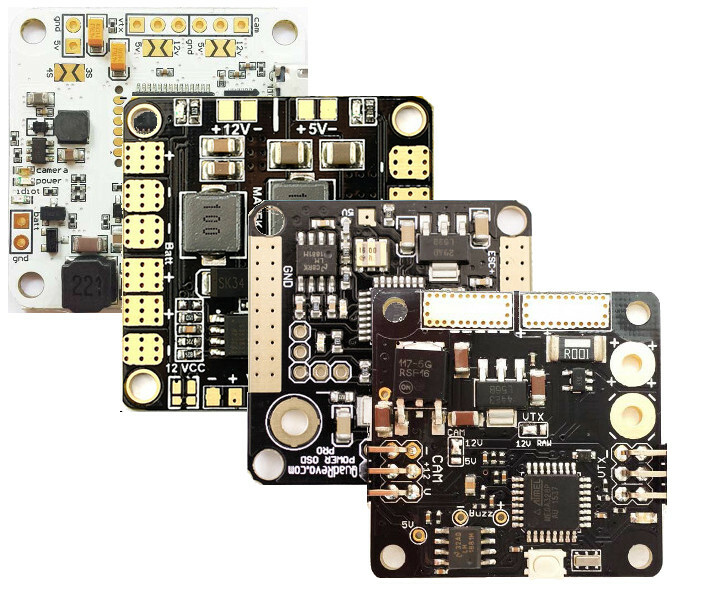 We like PDBs that have 4 individual +/- pads for the ESCs, a +/- pad for the battery connector, and edge-mounted or through-hole pads for 5V and 12V feeds. For 12V, two pads is preferred. This is the most inexpensive PDB we could find. At $3 it is a real steal for a square PDB. The reason it is so cheap is that it uses very basic linear regulators with no filtering. Other than that, we really like the simplicity, layout and light weight of this solution. Matek offers a variety of square PDBs for miniquads. 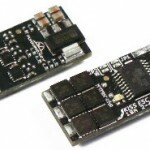 These PDBs have a great layout and are very inexpensive. 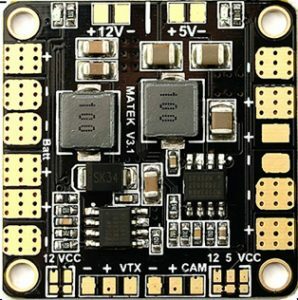 This is our favorite PDB for those pilots who just want the basics: 4 ESC pads, a 5V regulator for the flight controller and a 12V regulator for the VTX. At $10, it’s cheaper than most standalone regulator chips which you would otherwise need. Finally, it’s available through almost every vendor – including Amazon prime. We highly recommend most beginners pick up one of these at a minimum. They also have a PDB with a built in XT-60 connector and another with an OSD. This is the simplest kind of PDB – it offers only voltage splitting to your 4 ESCs in a square PDB form. Voltage regulation for your flight controller can be added by purchasing a Pololu voltage regulator separately and soldering it to your PDB. The OSDoge is a popular square PDB that can be mounted directly on top of a Naze Flight Controller to provide FC power and an OSD based on minimOSD. It is a very expensive option, so we have a tough time recommending it unless you specifically want something that is easy to stack on top of the Naze. For other flight controllers, we recommend you check out the PowerOSD or RROSD. 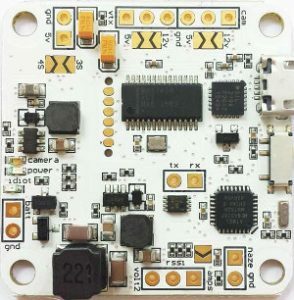 The PowerOSD is a unique square PDB/OSD combination offering a pre-programmed OSD chip that should work out of the box to provide you with current draw, battery consumption, voltage and RSSI measurement – all of the things most miniquad pilots should want. We reviewed this product here and found it worked very well. We were not a huge fan of the pad layout, though, which made our build pretty clunky and hindered repairs. The pad layout problems and a few other issues are getting fixed in the upcoming “PRO2” model – which should make it one of the better options on the market again. 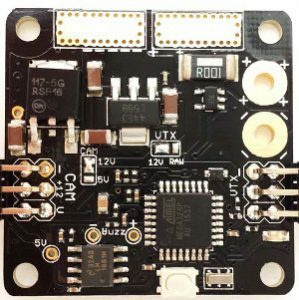 This square PDB/OSD combo from Banggood offers a PDB with 5V/12V regulators and an OSD at a fantastic price point of $13. The pad layout is great, but the OSD is not easily configurable. If you really want an OSD but don’t have a lot of money, this is a good option. The RROSD is an extremely well-built square PDB/OSD combination. It provides pretty much every feature an PDB can provide and does it in a really nice package. Unlike the PowerOSD, which has a fixed OSD set-up, the RROSD’s OSD is configurable using an onboard button. It uses linear voltage regulators with external power filtering. This means it will run hot, but it means you can use 3S batteries on it with no issues. Finally, we really like the pad layout and price. If you want a PDB with an OSD, this is probably your best option on the market.